Bullying is an important topic for the well-being of children and teens. Even the first-lady has started an anti-bullying campaign. But bullying isn't only confined to the schoolyard. This is a problem for camps as well. Ensuring that your camp is free of bullying is essential for children's safety. Bullying causes both psychological and physical harm, and no parent wants to send their child to a camp that allows bullying. Camp should be a time of fun and positive social development. Don't wait until the kids show up for their first day before you address the problem of potential bullying. You should prep beforehand. Make sure your staff and counselors are aware of bullying and the harm that it causes. Help the adults in the room how to identify potential bullying situations and which campers are at risk of bullying or becoming bullies. Help counselors understand when bullying might be occurring and how to recognize it. Hold workshops. Make pamphlets. Don't leave it up to counselors to figure out how to handle bullying in the moment. Set clear rules about what should be done with the bully and the bully's victim. Once a bullying situation has been recognized, make sure there are step-by-step instructions for what your summer camp counselors should do. If a counselor thinks a bullying situation may be occurring, but they aren't certain, how should they react? How does a counselor approach children to ask them what's going on? Counselors and staff must be the ones to intervene. Have protocols because the children won't solve the conflict themselves. 3. Encourage good behavior with children. 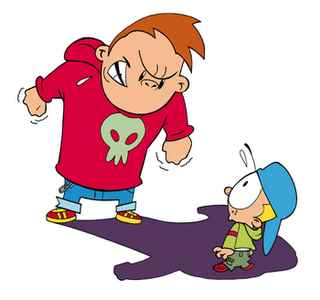 At the outset of your camp, make it perfectly clear that bullying will not be tolerated. Stress that camp is for fun and learning, and then clearly state what the potential punishment can be for bullying, including expulsion. Create an environment where children who witness bullying feel comfortable reporting it to a counselor. It's common for children to know when bullying is happening, even if it goes unnoticed by your staff. Also, try not to remove the bully victim from the rest of camp for too long. This can further the ostracism or isolation that person feels. Camp is supposed to be a fun time, and it can be. But if you let bullies ruin your summer camp, you might not be running one for long. As another successful camp season comes to a close, take some time to reflect on the effectiveness of your marketing plan. What worked? What didn't work? How will you adjust and adapt next season? Evaluating your efforts and making changes for the upcoming year is the best way to stay competitive and continually increase enrollments. 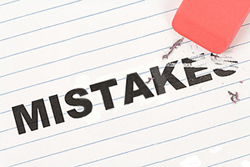 While considering a new marketing plan, be sure to avoid these common camp marketing mistakes! Your web site should create openings, not put up walls. Offering an email form as the only way to reach your camp will turn parents off. List your full address, phone, and email address so potential customers can reach you with questions and concerns year-round. Social media should be social. Facebook & Twitter are not soapboxes, but tools for interacting and engaging with customers. Actively seek new prospects by posting on the Facebook wall of parenting magazines and local newspapers, or start a Twitter conversation with parents in your area. Update your social media feeds regularly with quality content and invite interaction with former campers to keep the memories alive. Get personal when promoting your camp and invite customers to get to know your camp directors & key staff by name. Present your camp like the shop around the corner, not a big warehouse store, and customers will feel more of a connection. Your marketing should be long-range, not focused on instant gratification. If one aspect of your plan doesn't meet your expectations, don't toss it out. Make adjustments and try again. Studies have shown customers need to see an advertising message several times before they act. A comprehensive and consistent plan creates consistent results. Yes, camp is a local business, but even locals are going online to search for camps. In fact, everyone is online - on their computers, on their Smartphones - so go where your customers are! Online advertising is cost-effective, targeted, and can be customized to meet your goals. One of the best ways to reach customers online is to advertise in camp directories like MySummerCamps and KidsCamps, where millions of parents search for camps each month. This page is an archive of entries from July 2018 listed from newest to oldest. June 2018 is the previous archive. August 2018 is the next archive.